Come and check out the latest there or shoot me a message. *If your’e on the waiting list and see something here that you like or that fits your request, let me know asap and I’ll reserve it for you. We now have some free streaming of 5 of the tracks from my album on bandcamp!! 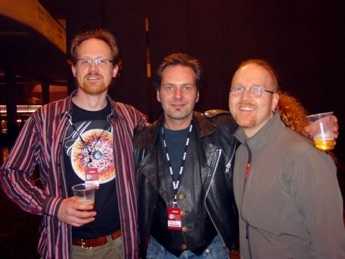 Matt Nolan, Michael Paiste, Myself ....................................... Me again and Roberto! I’m madly working to try to catch up to the timelines that I’ve promised. I’m a bit behind ... sorry ... but I’m chipping away at getting on track. The photo above is of my new Turkish Hammer. The hammer weighs 1.21 Kilos with an 8” handle. I remember Roberto saying to me that I needed to get a turkish hammer and anvil and it’s taken some time to procure them. The shape, design and weight of the hammer helps to create a bit more deformation in the bronze which creates a bit more trash in the final sound. I’ve never been a fan of trash beyond a certain point and this hammer seems to give some ‘dragons breath’ without going to the dark side of trash (overly reduced dynamic potential, loss of stick clarity and a large reduction of sweeter complexity and overall spread). 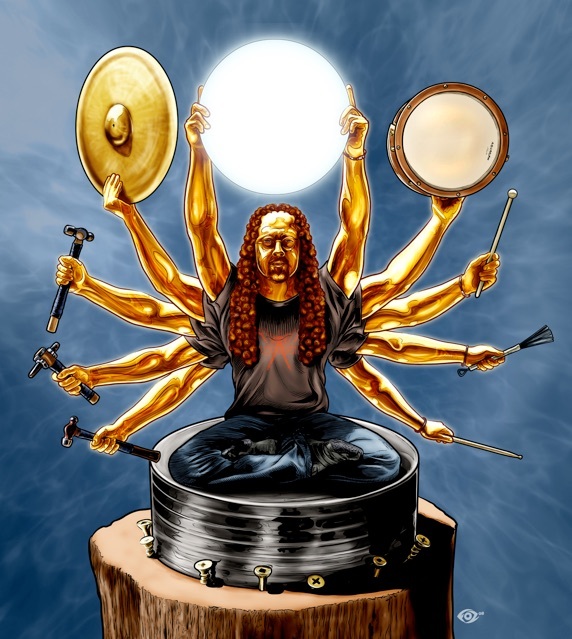 I’ve been so impressed with the sonic characteristics (SC’s) created by the Turkish hammer, that I’ll be using the acronym ‘TH’ on cymbals where I feel those SC’s are prevalent. A bunch of Rustico’s ready to be lathed. 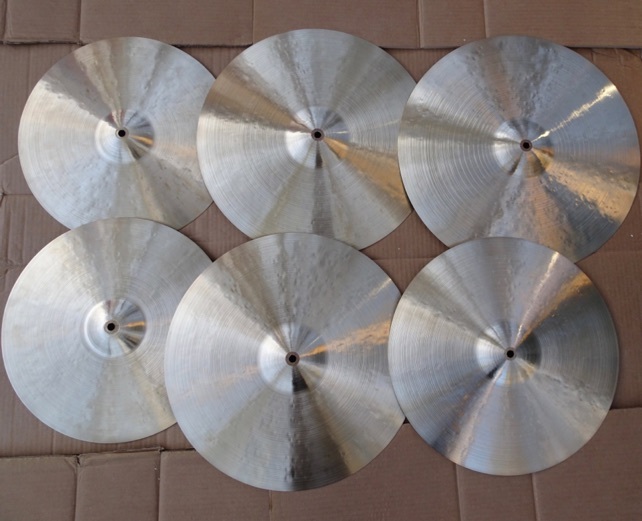 Orchestral cymbals - 15” Pair, 17” Pair and 16” & 18” Suspended. I’m starting to source blanks from SABIAN. I’ll still be using my regular Turkish foundry as well. 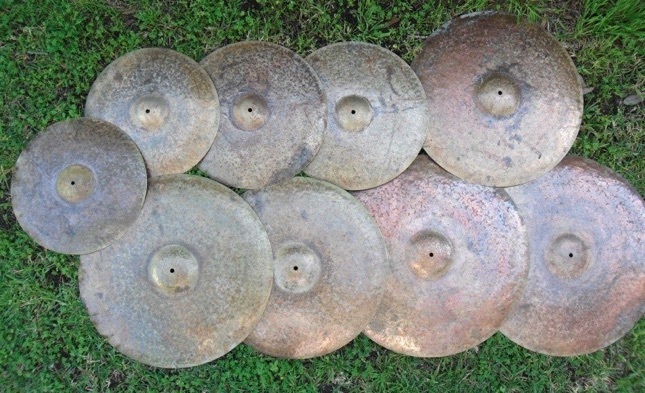 All cymbals made from Sabian blanks will have ‘SB’ in the title. The SABIAN alloy is wonderfully consistent and it’s always the same diameter and is free from caliper marks. 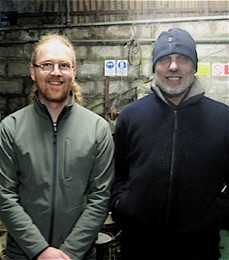 It’s a joy to work with and it has a greater ability to take on changes from hammering and lathing. In terms of sound, it’s a little cleaner than the Turkish alloy and it falls closer to the older A style in the ‘A to K’ sonic scale. 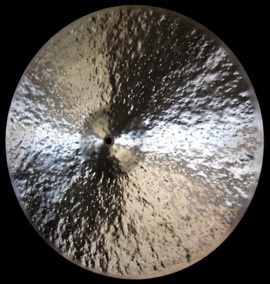 The ‘SB’ cymbals work beautifully in the music and have a slightly clearer and longer projection in the rooms that I’ve used them in. My main ride for Jazz is now a 21” SB Half Turk ... and I’m loving it!